Online and live! Welcome to the brand new Automotive Filtration Insight online magazine. 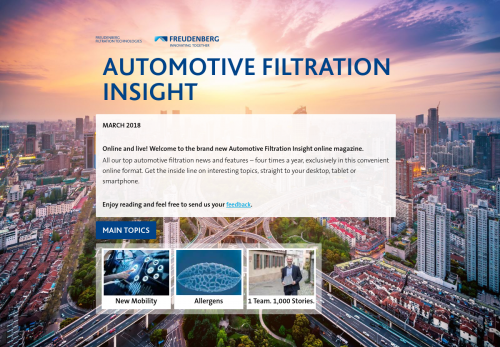 All our top automotive filtration news and features – four times a year, exclusively in this convenient online format. Get the inside line on interesting topics, straight to your desktop, tablet or smartphone.